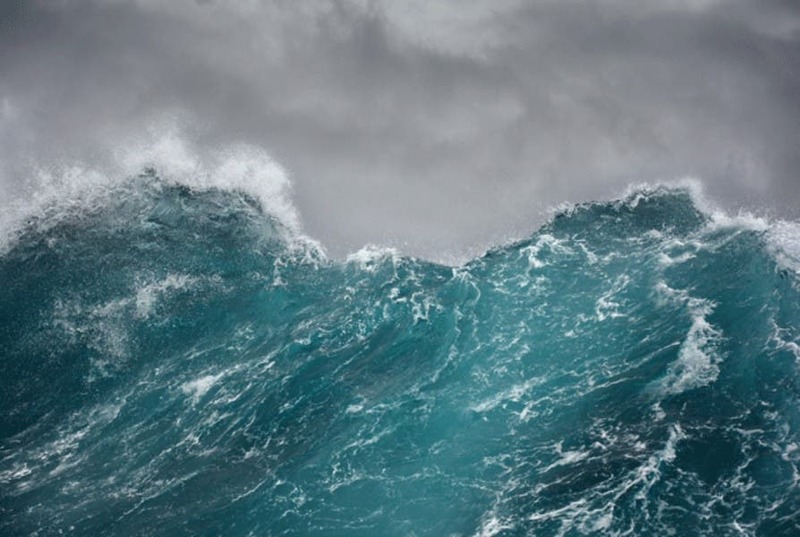 “Our overall message is, if you think the origin of life required fixed nitrogen, as many people do, then it’s tough to have the origin of life happen in the ocean,” says Sukrit Ranjan at MIT’s Department of Earth, Atmospheric and Planetary Sciences (EAPS). If primitive life indeed sprang from a key reaction involving nitrogen, there are two ways in which scientists believe this could have happened. The first hypothesis involves the deep ocean, where nitrogen, in the form of nitrogenous oxides, could have reacted with carbon dioxide bubbling forth from hydrothermal vents, to form life’s first molecular building blocks. The second nitrogen-based hypothesis for the origin of life involves RNA — ribonucleic acid, a molecule that today helps encode our genetic information. In its primitive form, RNA was likely a free-floating molecule. When in contact with nitrogenous oxides, some scientists believe, RNA could have been chemically induced to form the first molecular chains of life. This process of RNA formation could have occurred in either the oceans or in shallow lakes and ponds. Nitrogenous oxides were likely deposited in bodies of water, including oceans and ponds, as remnants of the breakdown of nitrogen in Earth’s atmosphere. Atmospheric nitrogen consists of two nitrogen molecules, linked via a strong triple bond, that can only be broken by an extremely energetic event — namely, lightning. However, in this new study, he identifies two significant “sinks,” or effects that could have destroyed a significant portion of nitrogenous oxides, particularly in the oceans. He and his colleagues looked through the scientific literature and found that nitrogenous oxides in water can be broken down via interactions with the sun’s ultraviolet light, and also with dissolved iron sloughed off from primitive oceanic rocks. “We showed that if you include these two new sinks that people hadn’t thought about before, that suppresses the concentrations of nitrogenous oxides in the ocean by a factor of 1,000, relative to what people calculated before,” Ranjan says. In the ocean, ultraviolet light and dissolved iron would have made nitrogenous oxides far less available for synthesizing living organisms. In shallow ponds, however, life would have had a better chance to take hold. That’s mainly because ponds have much less volume over which compounds can be diluted. As a result, nitrogenous oxides would have built up to much higher concentrations in ponds. Any “sinks,” such as UV light and dissolved iron, would have had less of an effect on the compound’s overall concentrations. That may not seem like a significant body of water, but he says that’s precisely the point: In environments any deeper or larger, nitrogenous oxides would simply have been too diluted, precluding any participation in origin-of-life chemistry. Other groups have estimated that, around 3.9 billion years ago, just before the first signs of life appeared on Earth, there may have been about 500 square kilometers of shallow ponds and lakes worldwide. Ranjan and his colleagues have published their results today in the journal Geochemistry, Geophysics, Geosystems. The paper’s co-authors are Andrew Babbin, the Doherty Assistant Professor in Ocean Utilization in EAPS, along with Zoe Todd and Dimitar Sasselov of Harvard University, and Paul Rimmer at Cambridge University.